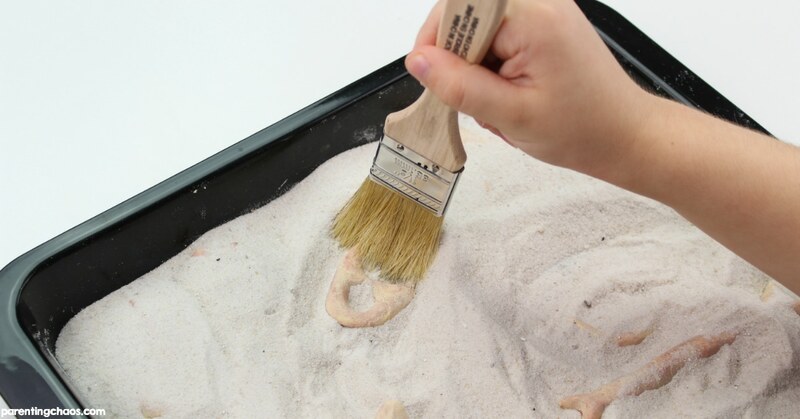 Do you have a budding paleontologist in your home or classroom? I know my son can name more dinosaurs that I could ever imagine existed. It blows my mind to listen to him talk about all the different species of dinosaurs. 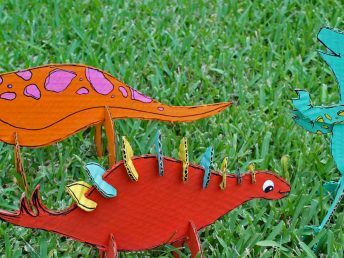 We had a blast exploring the world of paleontology with this dinosaur fossil kit you can make at home! 1. Mix together 2 cups of flour, 1 cup of salt and 1 cup of water. 2. 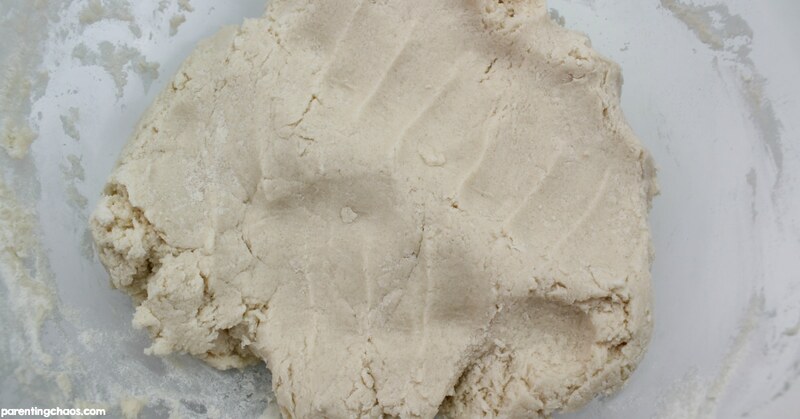 Knead the dough for 2 minutes or until it’s firm. 3. 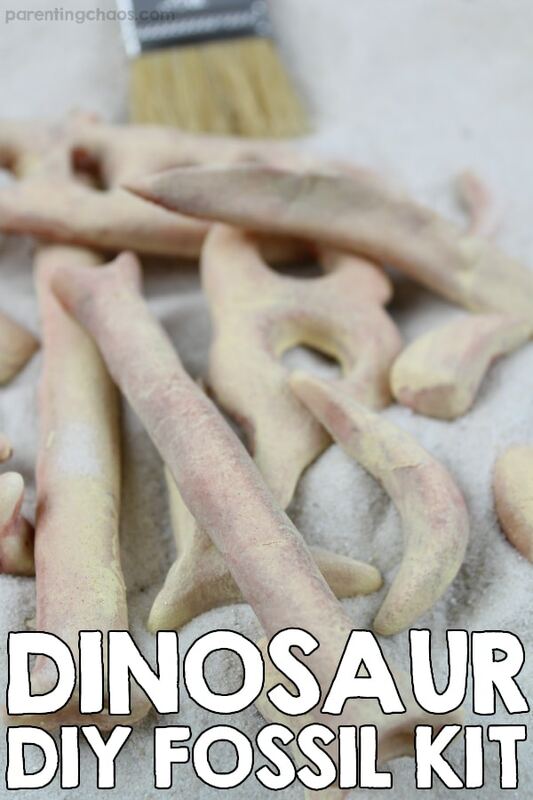 Create dinosaur bones with the salt dough. There’s no wrong or right way to do this, just have fun! Be silly and creative. 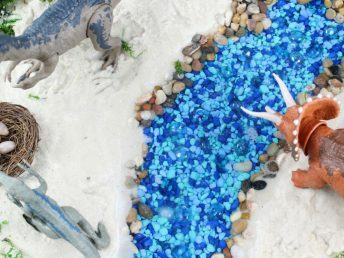 You can also use dinosaurs or stamps to create fossils! 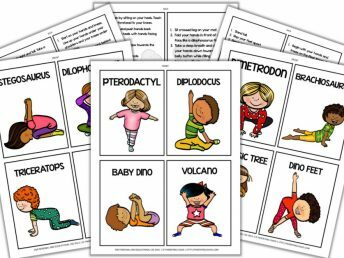 Head over to our Dinosaur Alphabet Excavation to see how we adapted this activity to learn our ABC’s! 4. 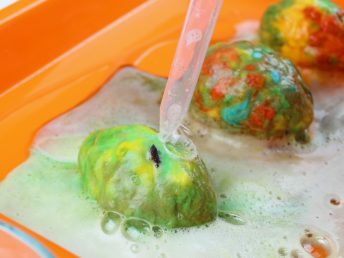 Use a bit of food coloring to give the bones some age before baking them. 5. 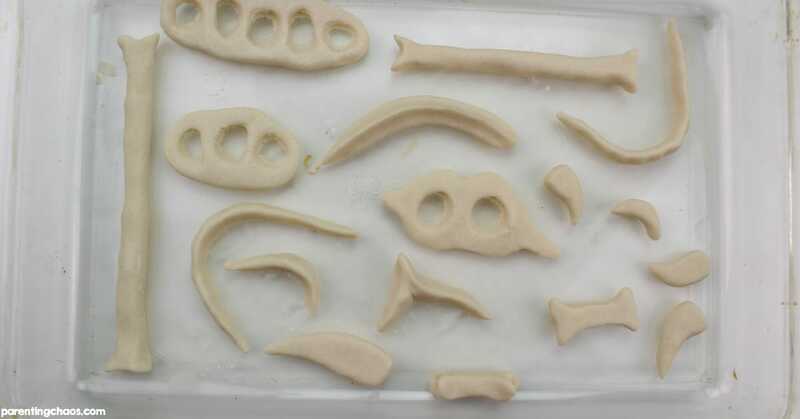 Bake the dinosaur bones for 30 minutes per inch of thickness at 325 degrees. 6. Take the bones out of the oven and allow them to cool completely. 7. Add the bones into a tray with sand or soil. Invite your little ones to dig through the sand to find the bones. 8. Add in a dry paint brush to sweep the sand off of the bones. 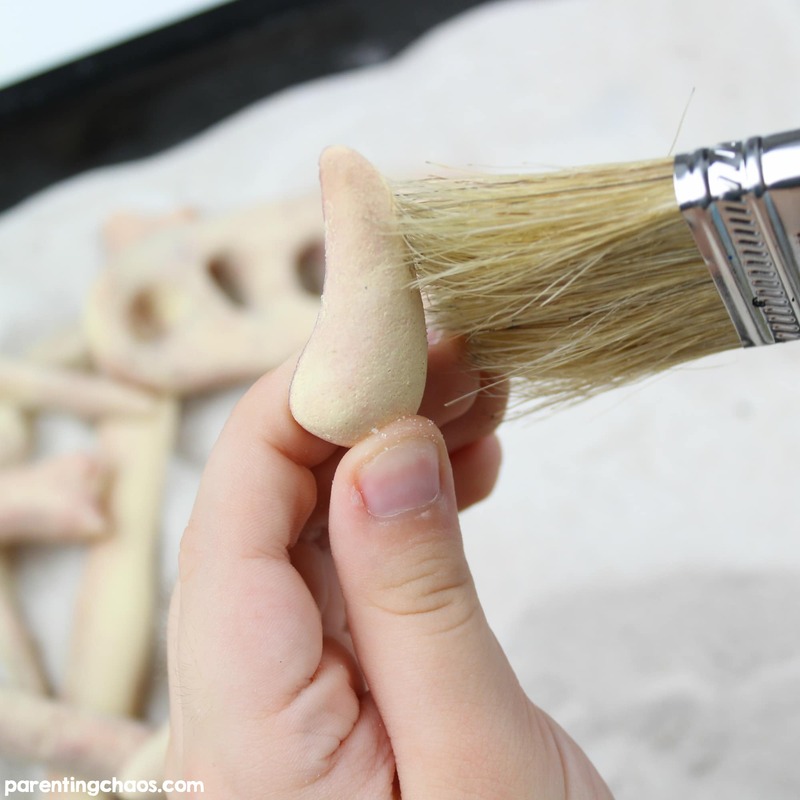 Not making these DIY Dinosaur Bones right this second? Then pin this post so you can easily find it later!